Three Boy Circus: Cover Reveal - A is for Apocalypse! Cover Reveal - A is for Apocalypse! 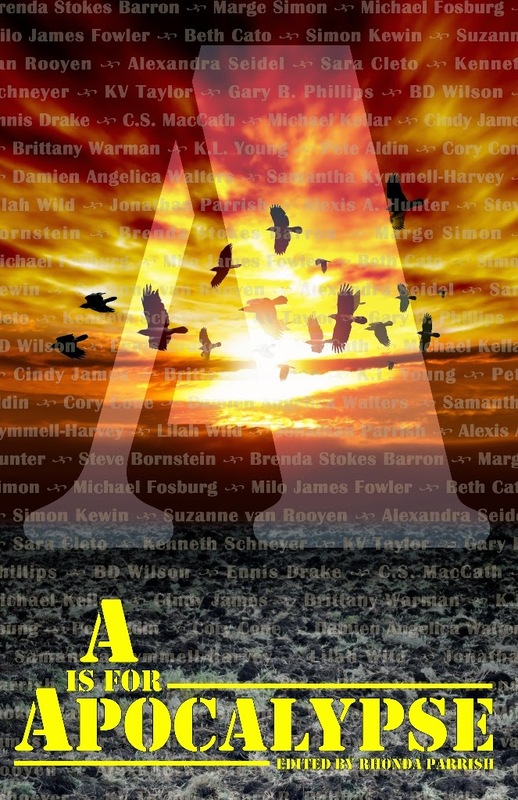 A is for Apocalypse contains twenty-six apocalyptic stories written by both well-known and up-and-coming writers. Monsters, meteors, floods, war–the causes of the apocalypses in these tales are as varied as the stories themselves. I'm super excited about this book because I love short stories. Three ARC copies of A is for Apocalypse. These are physical copies but CBB is willing to ship them to anywhere in the world. The Rafflecopter draw will run from May 12th to May 19th. On May 20th, CBB will choose three winners and email them in order to get their shipping address. Anyone who doesn’t respond by May 27th will forfeit their prize and CBB will choose a new winner to receive it. Thanks so much for sharing with your readers! That looks pretty interesting. I like the post-apolitical books! I like to read books with short stories. It's a nice break.